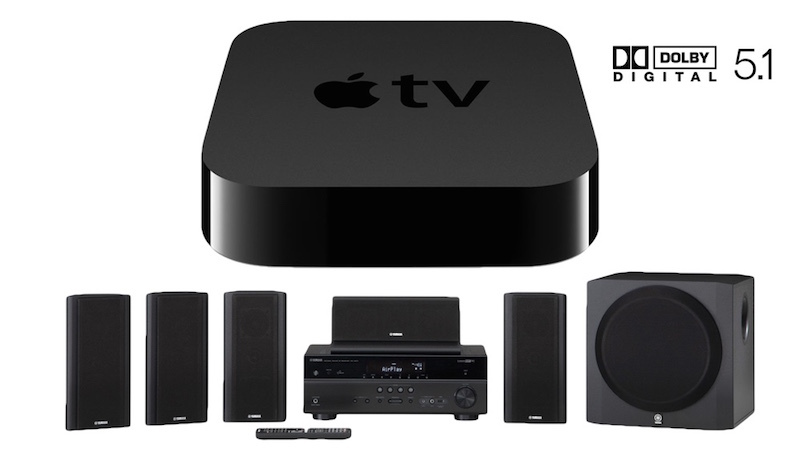 Nearly all iTunes HD movies and TV shows are accompanied by a Dolby Digital 5.1 surround sound audio track. If you are not pumping this audio through a surround sound speaker system, you are definitely missing out on a great home theater experience! While Apple does a great job on providing clear and concise instructions on setting up an Apple TV in general, details regarding setting up an Apple TV with surround speakers are a little more sparse. 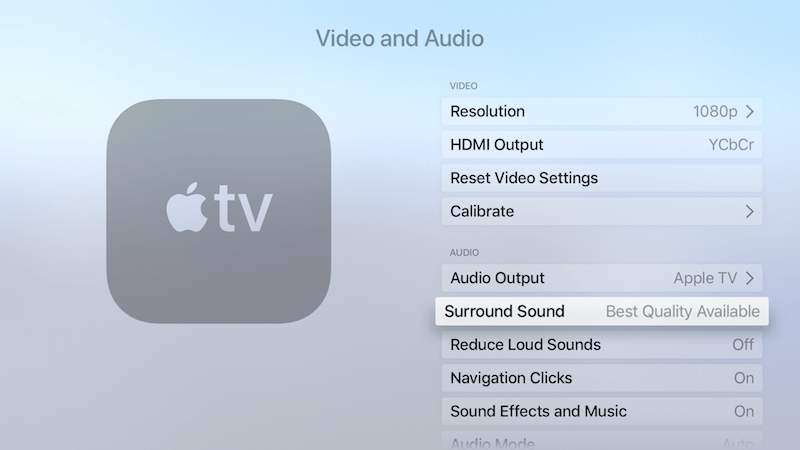 Follow along to find out how you can enjoy awesome surround sound audio from your Apple TV! Step 1: Connect your Apple TV. To do this, you have three options. Which one you choose largely depends on your home theater equipment’s capabilities and which model Apple TV you own. Option 2 (for the cable-cutters! 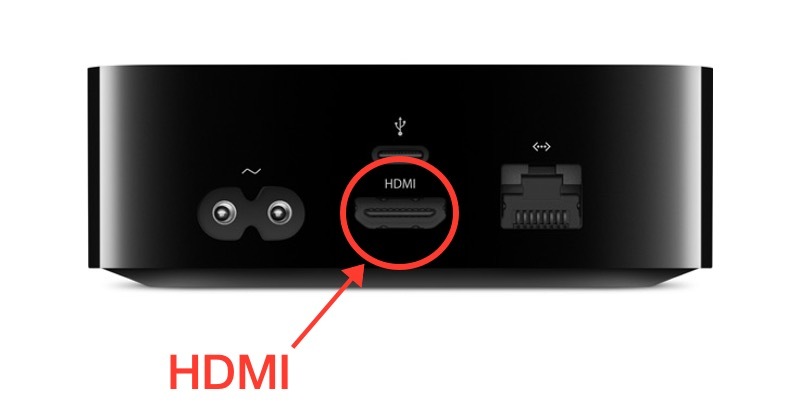 ): Connect an HDMI cable from the Apple TV to an HDMI port on the back of your TV unit. Then run a separate optical cable out from the TV’s optical port and in to the receiver’s optical port. Use this method if your receiver lacks HDMI ports, or if you ditched subscription cable and want to also send Dolby Digital 5.1 from over-the-air broadcast signals to your receiver. Option 3: Connect an HDMI cable out from the Apple TV and in to the back of the TV. Connect the optical audio out from Apple TV to receiver. You’ll need to use this method if your receiver lacks HDMI ports. 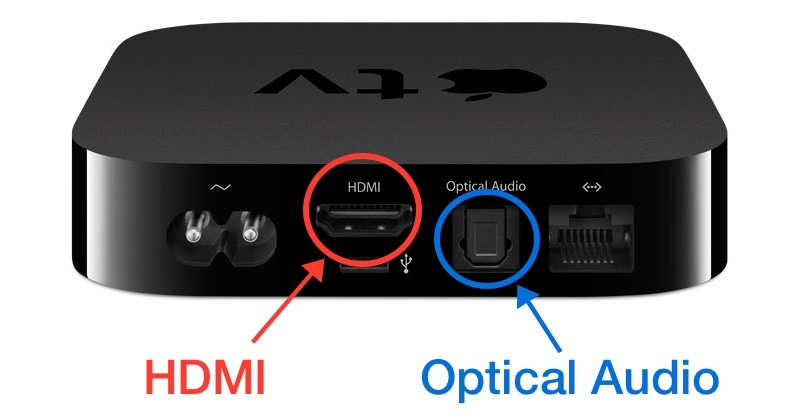 UPDATE: The Apple TV 4 and Apple TV 4K no longer have an optical audio port. 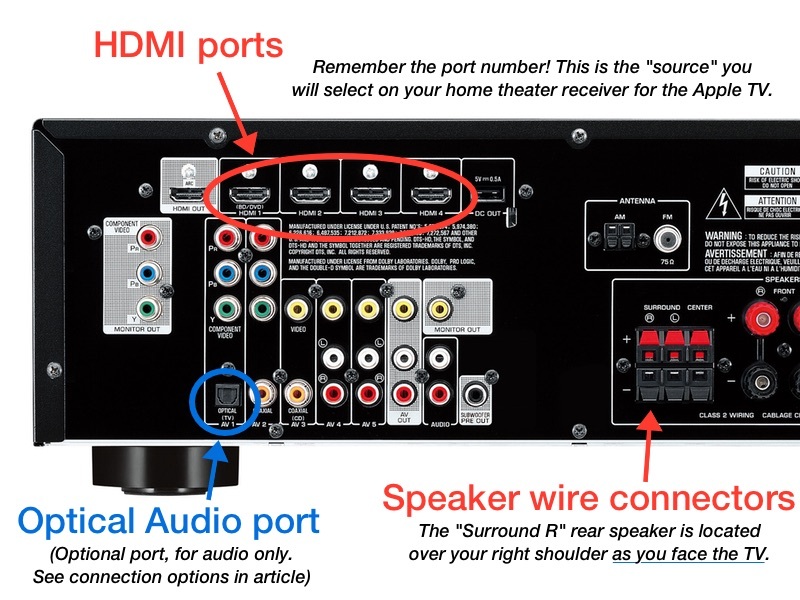 If your receiver lacks HDMI, you can still decode surround audio from the Apple TV 4 by following connection option #2. Select the HDMI or optical connector used for audio on the back of the receiver from Step 1. i.e. “HDMI 1” or similar. Selecting the Apple TV on the receiver is often achieved by clicking “Inputs” or “Source” on your receiver’s remote control (dependent on manufacturer terminology). 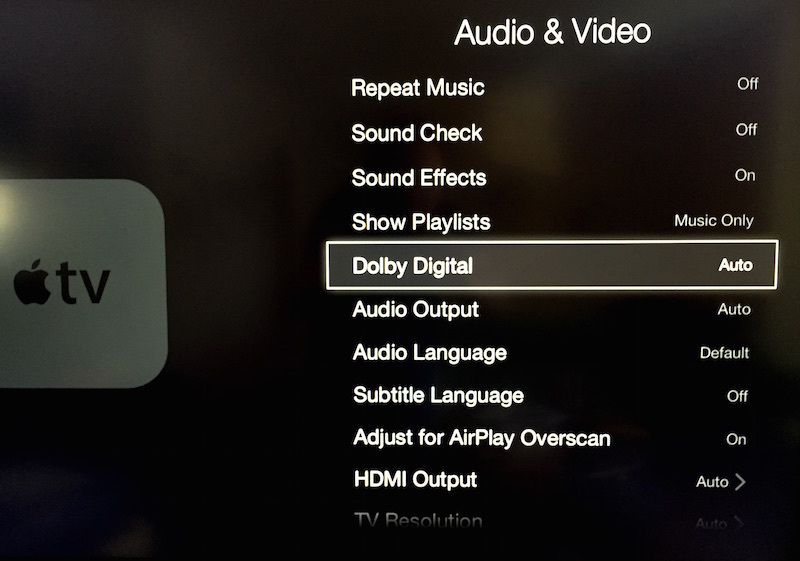 Step 3: Check the Dolby Digital setting on the Apple TV. If you have any doubts as to whether your surround sound is working properly, you may want to consider downloading the Home Theater Speaker Check app for iOS, or the Surround Speaker Check tvOS app, now available in the new Apple TV App Store. These apps were created to provide a quick-and-easy way for users to test whether or not their surround sound system is properly configured for playing back iTunes HD movies and TV shows. All content copyright 2018 Jeff Perrin Music LLC.